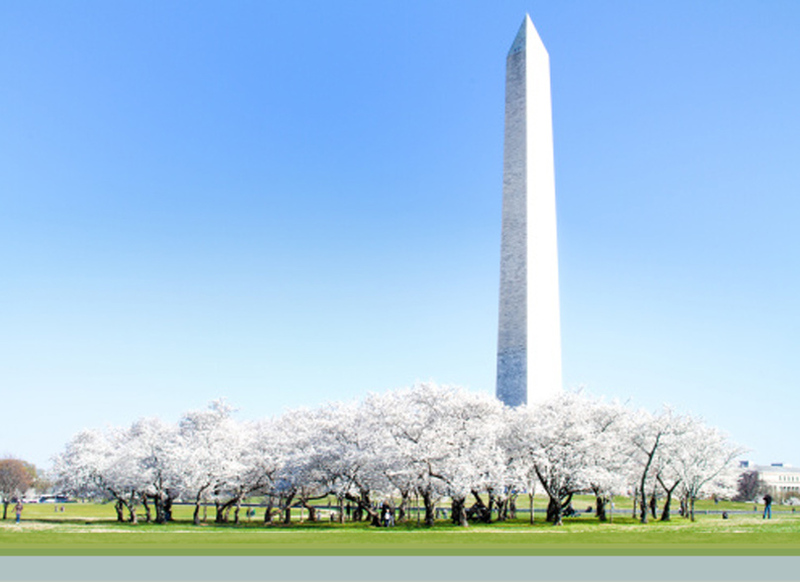 Olivia Lynch: Government Contracts/Bid Protests Lawyer: Washington, D.C.
Government Contracts – Will Purchasing Be Streamlined? Olivia L. Lynch is a counsel in Crowell & Moring's Government Contracts Group. Olivia advises government contractors on navigating the procurement process, compliance and ethics, commercial item contracting, accessibility, supply chain assurance, and various aspects of state and local procurement law. Olivia has also counseled clients regarding mandatory disclosure obligations and related regulatory reporting processes. In the transactional context, Olivia has performed government contracts diligence for government contractors in a range of industries. Olivia counsels large and small businesses on all manner of small business government contracting issues. She counsels large businesses on drafting and compliance with small business subcontracting plans as well as subcontracting to small businesses generally. She also advises on affiliation, limitations on subcontracting, participation in the Small Business Administration's (SBA) 8(a) program and mentor-protégé programs, and teaming and joint venture agreements. Olivia has filed and responded to size protests as well as litigated size appeals before the SBA's Office of Hearings and Appeals (OHA). Successfully defeated size appeal arguing that the awardee, a subsidiary to an Alaska Native Owned Corporation, was large based on affiliation with one of its sister entities, which the protester argued was an ostensible subcontractor. Size Appeal of Synergy Solutions, Inc.,SBA SIZ-5843 (2017). Successfully argued before OHA to overturn the dismissal of a size protest based on lack of standing. Size Appeal of TMC Global Professional Services, SBA SIZ-5792 (2016). Olivia has an active bid protest docket and has been involved in agency-level protests as well as bid protests before the Government Accountability Office (GAO), the Court of Federal Claims (COFC), and the Federal Aviation Administration's (FAA) Office of Dispute Resolution for Acquisition (ODRA). She has represented both protesters and contract awardees in protests concerning such topics as pre-award protests of RFP terms, challenges to the cancellation of procurements, protests of sole source awards, protests of exclusions from the competitive range, and post-award challenges. She has successfully negotiated cost claim reimbursements for successful protesters as well as won recommendations for reimbursement of protest costs where the agency took corrective action prior to GAO reaching a decision. Obtained a recommendation that the agency reimburse a protester for costs of filing and pursuing a protest challenging the agency's implementation of corrective action where the agency unduly delayed taking corrective action in response to a meritorious challenge that the Department of the Army failed to evaluate proposals using a common baseline. TRAX International Corporation—Costs, B-410441.8, Aug. 17, 2016, 2016 CPD ¶ 226. Successfully challenged offeror's exclusion from the competitive range for the Department of Justice's investigative support services for the asset forfeiture program. Arctic Slope Mission Services, LLC, B-410992.5, B-410992.6, Jan. 8, 2016, 2016 CPD ¶ 39. Won protest of a sole-source award by the U.S. Forest Service for firefighting airtanker services where the sole-source resulted from a settlement agreement in exchange for the awardee's withdrawal of an earlier protest. Coulson Aviation (USA) Inc., et al., B-409356.2, et al., Mar. 31, 2014, 2014 CPD ¶ 106. Successful protest of the award for the technology development phase of the Navy's next generation jammer program. BAE Systems Information and Electronic Systems Integration Inc., B-408565, et al, Nov. 13, 2013, 2013 CPD ¶ 278. Won protest of $8 billion Defense Logistics Agency contract for the supply and distribution of subsistence products to locations within Afghanistan. Supreme Foodservice GmbH, B-405400.3, et al., Oct. 11, 2012, 2012 CPD ¶ 292. Successfully defended protest of award by the Department of the Air Force following corrective action upholding award of a 10-year, $200 million contract for aerospace systems technical research and operations services (ASTROS) at Edwards Air Force Base, California. Jacobs Technology, Inc., B-413389.3, B-413389.4, Jul. 21, 2017, 2017 CPD ¶ 244. Successfully defended FirstNet's decision to exclude an offeror from the competitive range for a multi-billion dollar 25-year contract to build-out, deploy and operate a nationwide public safety broadband network whose implementation is a critical public safety recommendation of the 9/11 Commission. Rivada Mercury, LLC v. United States, 131 Fed. Cl. 663 (2017). Successfully defended National Aeronautics and Space Administration's $200 million award for software engineering services. Systems Engineering Partners, LLC, B-412329, et al., Jan. 20, 2016, 2016 CPD ¶ 31. Successfully defended the FAA's award of an $81 million contract to modernize information systems throughout the National Airspace System. Exelis, Inc., 15-ODRA-00727 (2015). Successfully defended Customs and Border Protection's $200 million award for software application development, modernization, enhancement, and operations and maintenance services for CBP's Passenger Systems Program Directorate. Bart & Associates, Inc., B-407996.5, et al., Jan. 5, 2015, 2015 CPD ¶ 61. Successfully defended award of task order issued by the Missile Defense Agency for advisory and assistance services. APT Research, Inc., B-409780, Aug. 8, 2014, 2014 CPD ¶ 259. Olivia also advises contractors on the federal Freedom of Information Act as well as state-level sunshine laws. She has represented contractors in numerous reverse-FOIA actions at the federal and state levels. During law school, Olivia interned for the Honorable Thomas C. Wheeler at the U.S. Court of Federal Claims. In her pro bono practice, Olivia works with legal service organizations dedicated to representing individuals that have suffered domestic and sexual violence. In 2015, Olivia received the Firm Voice Award from the Network for Victim Recovery of DC. Admitted to practice: District of Columbia, New York, U.S. Court of Federal Claims. "Bid Protests: Trends and Developments," OOPS 2013, Crowell & Moring's 29th Annual Ounce of Prevention Seminar, Washington, D.C. (May 15-16, 2013). Moderator: Daniel R. Forman; Presenters: Thomas P. Humphrey, Derek R. Mullins, and Olivia Lynch. "Incumbent Employees’ Self-Disclosure of Salaries is Not a Procurement Integrity Act Violation," Crowell & Moring's Government Contracts Legal Forum (May 23, 2018). Authors: Olivia Lynch and Payal Nanavati. "GAO Lets Stand an Agency’s OCI Waivers in Face of a Multi-Prong Challenge," Crowell & Moring's Government Contracts Legal Forum (March 14, 2018). Authors: Olivia Lynch, Daniel Wierzba and Payal Nanavati. "Government Contracts – Will Purchasing Be Streamlined?" Crowell & Moring's Regulatory Forecast 2018 (February 2018). Contributors: Robert Burton, Lorraine Campos, Elizabeth Buehler, and Olivia Lynch. "DoD Releases Interim Rule on Cloud Service Acquisitions," Crowell & Moring's Government Contracts Legal Forum (August 27, 2015). Authors: Olivia Lynch and Peter J. Eyre. "DOJ's Recently Articulated Position on the Accessibility of Point-of-Sales Devices," Crowell & Moring's Retail & Consumer Products Law Observer (May 6, 2014). Author: Olivia Lynch. "Ten FCA Decisions From 2013 That Government Contractors Need To Know," The Government Contractor, Vol. 56, No. 8 (February 26, 2014). Co-Authors: Andy Liu, Jonathan Cone, and Olivia Lynch. "GAO Declines to Apply the Interested Party Rule in a Protest Filed under the Name of the Wrong Company," Crowell & Moring's Government Contracts Legal Forum (January 31, 2014). Author: Olivia Lynch. "Trends and Developments in Bid Protests — Ounce of Prevention Seminar, May 15-16," Crowell & Moring's Government Contracts Legal Forum (April 18, 2013). Author: Olivia Lynch. "Application of GAO's Timeliness Rules for GAO Protests Filed after Agency-Level Protest Is the Same Regardless of the Nature of the Adverse Agency Action," Crowell & Moring's Government Contracts Legal Forum (February 20, 2013). Author: Olivia Lynch.